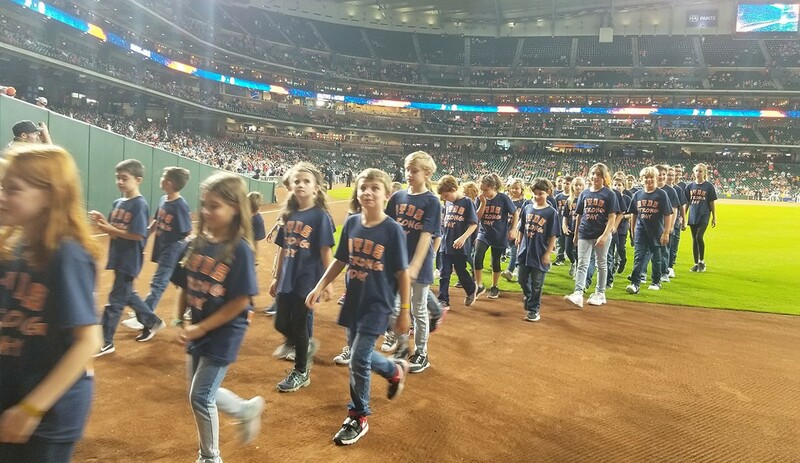 Beth Yeshurun Day School’s second-fifth graders were thrilled to sing The National Anthem on the field to open the Aug. 29 Astros vs. Athletics game. Just over a year since Hurricane Harvey, Aug. 29 was officially declared BYDS Strong Day, as the school rooted for the Astros and celebrate the resilience of the community after Harvey. 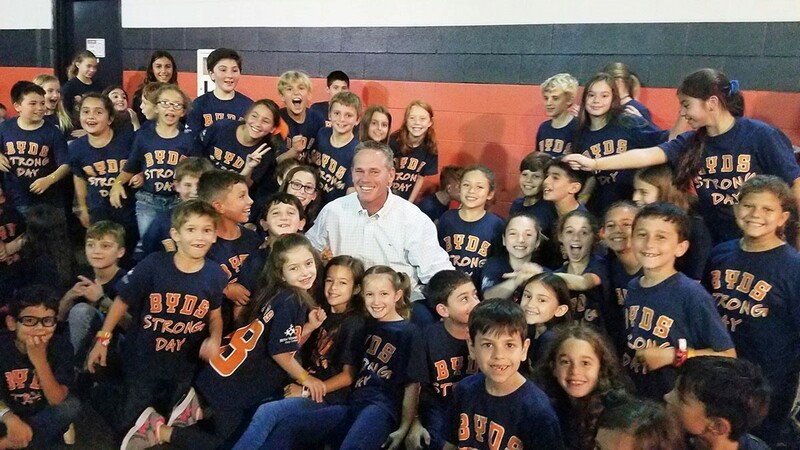 BYDS students waited in the players’ tunnel for their turn to walk out onto the field and, as they posed for the “Bregman Stare,” students were surprised with a visit from Baseball Hall of Famer Craig Biggio. As they walked onto the field, some of the players gave the kids high-fives of encouragement. BYDS students, all smiles, walking off the field after singing the National Anthem. BYDS Music Teacher Christine Phares led the students through practice performances of the National Anthem at school and during the big moment on the field. Art teacher Jodi Gold created fan signs for the third graders to hold up. 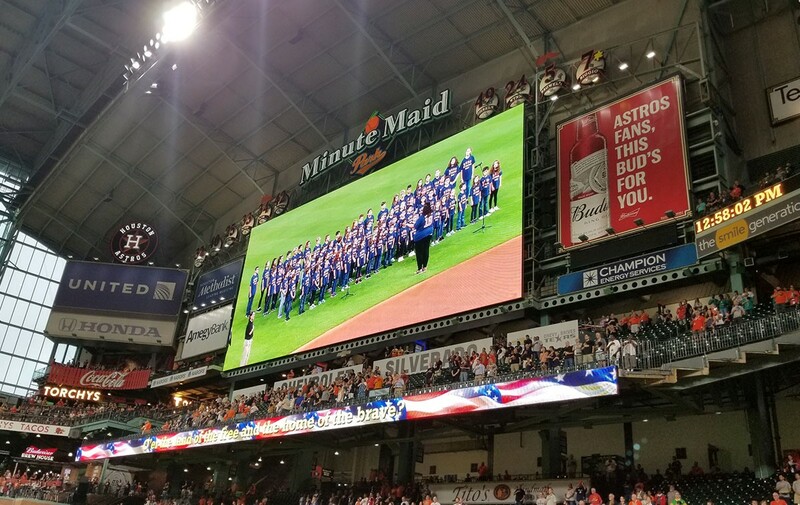 After their beautifully-sung National Anthem, students joined their parents in the BYDS section to watch the game, in which the Astros won, 5-4. 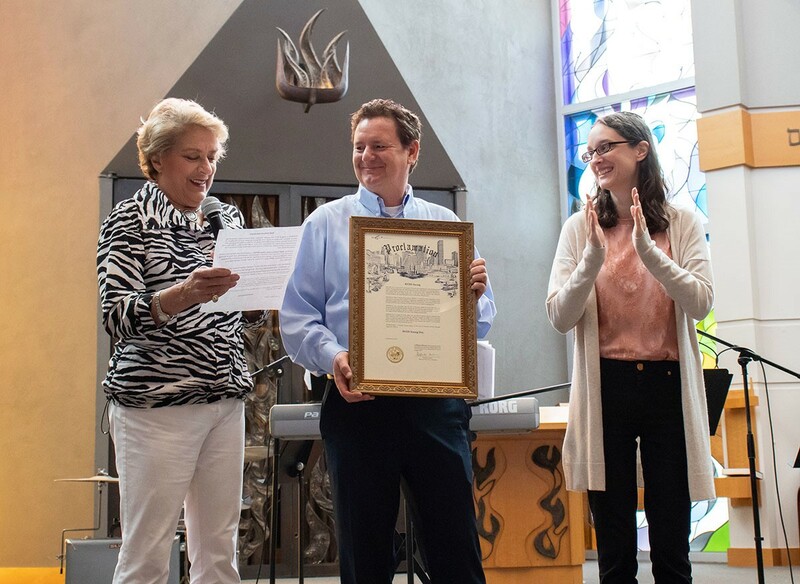 On Friday, Aug. 31 at the first All-School Shabbat of the year, Mayor Pro Tem Ellen Cohen presented the school with a City of Houston Proclamation of BYDS Strong Day and celebrated with the community that BYDS is back on their renovated campus. BYDS students on the JumboTron.